If you have followed my blog up until now you would have followed my journey to migraine freedom. It has been one hell of a ride with too many ups and downs to count, but I am so very blessed that it has led me to this very day, now with a purpose so strong and meaningful, it makes me grateful for every single thing I have been through. After graduating as a Health Coach at The Institute of Integrative Nutrition, I was offered an incredible opportunity that I never could have expected, and that was to work for a groundbreaking company called Head Health, Inc. Along with my experience of breaking free from chronic migraines combined with my health coaching training I used this knowledge to help to contribute and create something truly innovative and much needed for the migraine world. Let me introduce to you The MENT™ Protocol. So what is The MENT™ Protocol? The MENT™ protocol is an 18 week online integrative educational program that shows you how to create your exact lifestyle based upon your unique body and nervous system. MENT stands for Migraine, Elimination through Neuroindiviual Therapies. We introduce a brand new concept which is Neuroindividuality™ that will help you create a care path that is completely personal to you and you only. The program will show you the exact methods that not only I went through to break free, but other sufferers, who are now enjoying life. The MENT™ protocol will show you regardless of where you are today, your suffering, environment, medications, or any of that, you can become free from your pain, permanently. Why do you need The MENT™ Protocol? In the MENT™ Protocol, we cover three key things and these three things you have not heard anywhere else. We teach you how to create a mind shift to make health and healing a possibility. If you don’t believe you can become healthy, no matter what you do you will always be sick. Plain and simple. Once you have your mindset in order, we help you craft your health history and create a personalised profile. Once you know who you are and what you suffer from, you now have clarity. We help you recognize the symptoms, headache types and triggers you are suffering from. 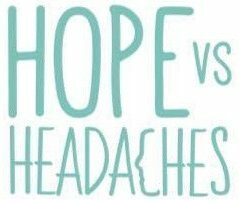 This is completely different from the normal approach to migraines and headaches, but it is rooted in functional medicine and revolves around you healing your body from the inside out which means lasting results, no more short-term fixes. Whether it is through self-care, emotional stability, spiritual enhancement, reducing toxins, decreasing inflammation or repairing gut imbalances, we help you address the true issues going on deep within your entire mind, body, spirit, and brain. The final stage of the MENT™ Protocol helps you bring it all together. The nutrition, the food and the lifestyle. We teach you how to use nutrition to repair your body, how to use food as medicine, and how to create a lifestyle that keeps your nervous system at bay. If you can successfully work through points 1 & 2 and implement 3, that is how you create the exact lifestyle for your unique body and become free. Here at Head Health, we understand that no one sufferer is the same. Your body, symptoms and lifestyle are as unique as a fingerprint and that means your care path should be also. This is Neuroindividuality™. This approach means that you no longer just follow the migraine train and try aimlessly at anything and everything for relief, you understand your unique body thus know the direction you need to pursue in order to heal. For example, why would you take an opioid when you are suffering from a toxic colon headache? Or why would you take a beta blocker when you are suffering from a tension headache? We help you find clarity, direction and focus to treat your symptoms at the root cause like never before. We want to invite you to be one of the first 200 sufferers to enrol in the MENT™ Protocol, where we will show you how to create a care path based on your Neuroindividuality™ to live a life free from pain. All you have to do is click here to find out more information about the program and take the first step to the beginning of your new life. Myself and the team at Head Health have put our hearts and souls into creating this program and are living breathing proof that it works. I have never, ever been so passionate about anything before in my life and I am so incredibly grateful to be part of the team at Head Health, Inc.
We are super proud of what we have created and we cannot wait to share it with you all. Additionally, we have created a FREE eBOOK– 9 Steps to finding freedom from migraines and headaches that you can download here. This project just means so much to me and I am so incredibly passionate about what we are doing and I’m excited to hopefully work with you in the future. Previous Entry Could Your Subconscious​ Beliefs Be At The Route Of Your Anxiety And Or Pain? Next Entry Is Your Sleeping Position Giving You A Headache?